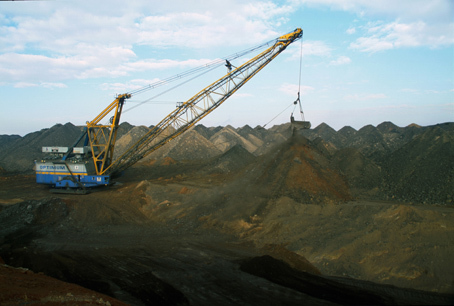 Within the unique wetland area Mpumalanga Lake District lies the site of a proposed, and controversial, opencast coal mine, the Lusthof colliery. It will require a preliminary ‘set-aside’ of about 70 million South African rands (9 million USD) to fund maintenance of water quality in the area’s rivers and lakes for a hundred years after closure, EfD research shows. Such set-asides to meet mine closure costs are required by South Africa’s mining legislation. South Africa has very good mining legislation, but making it work has been a problem. Mining can do a lot of environmental damage, not just when it is happening, but once it has finished and the mine is closed. In 2011, EfD researcher Anthony Leiman was one of a small team who authored a discussion document entitled Financial Provisions for Rehabilitation and Closure in Mining Projects. The project was initiated by WWF in response to a perceived weakness in the application of the country’s mining legislation. The insights obtained from this source document were later used to assess the set-aside fund needed to ensure there would be enough money to mitigate post closure pollution from the Lusthof mine. According to South Africa´s legislation, a trust fund or something similar has to exist before mining can begin. There is still a moratorium on coal mining in the area. The potential economic benefits of the proposed mining are apparent, since coal in this area is of good quality and close to the surface. Sadly, much of it lies under sensitive wetlands. “The two biggest problems are dust from old dumps, and water that seeps from old workings. The rock has been exposed to air, and minerals in it, such as sulphur and arsenic, oxidise and dissolve in the rising waters. When this acidic and toxic water decants out of the mine, it flows into nearby rivers and poisons them,” says Anthony Leiman. Such problems often worsen over time as old mines flood. Such acid mine drainage is a serious and growing concern. Addressing it is costly, and only once the results are approved can a mine get a closure certificate. One result is that many mines simply don't formally close: though operations cease, the mine is ostensibly open and is registered as such. The group’s research into this problem was later extended by Shaun Hewittson, a master’s student supervised by Leiman with help from EfD. Current legislation requires that, before mining can commence at a new site, a fund has to be set up with sufficient money in place for mine closure to be effected. There is always a chance that the mine will prove a failure, so initially funds have to be in bank guarantees. But as mining proceeds and profits start flowing, a growing amount can be located in an interest earning fund. “The question that our team investigated was whether the rules of thumb widely used to estimate the initial set-aside fund have been underestimating the costs involved. The final document was released to the public a few months ago, and as a result the team leader, my former student Dr. Hugo Van Zyl, and I were asked to give an opinion on the proposed Lusthof colliery,” says Leiman. The proposed mine has a short life expectancy, roughly eight years, and has been heavily opposed by local activists as well as researchers. It also has significant support based on the growing local demand and rising price of good quality coal. The Chrissiesmeer area in the Mpumalanga Province is known as the Lake District of South Africa. It is a very uncommon habitat in South Africa, a combination of grassland, wetland and lakes, and is a noted breeding site for many rare water birds. Unfortunately, the Mpumalanga Province, which is home to much of SA’s coal mining, has a history of serious environmental pollution, affecting both its human and wildlife populations. The proposed mine would provide short term profits, but the ongoing costs of mitigating its long term ecological costs needs to be estimated and their present value calculated. “We tried to be completely objective in doing this, and to establish what it would cost to keep the water quality acceptable for 100 years after the mining was complete. Based on our estimates, we made recommendations concerning the amount of money that the mine would need to set aside before they were allowed to begin mining,” says Anthony Leiman. The resulting document has been accepted and is now part of the impact assessment decision process currently under way. Van Zyl, H.W., Bond-Smith, M., Minter, T., Botha, M. and Leiman, A. 2012. Financial Provisions for Rehabilitation and Closure in South African Mining: Discussion Document on Challenges and Recommended Improvements. Report to the WWF. WWF, Cape Town.